李裕龙, 廖洪烈, 胡湛, 等. 非匹配网格的三维流固耦合问题[J]. 哈尔滨工程大学学报, 2019, 40(4), 683-688. DOI: 10.11990/jheu.201709125. LI Yulong, LIAO Honglie, HU Zhan, et al. 3D partitioned fluid-structure analysis based on non-matching meshes[J]. 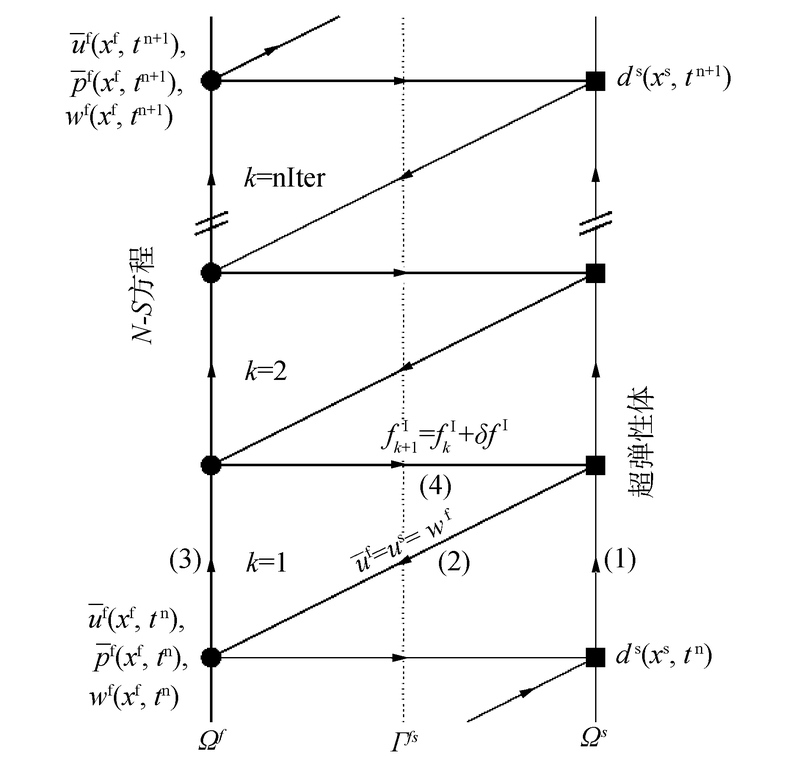 Journal of Harbin Engineering University, 2019, 40(4), 683-688. DOI: 10.11990/jheu.201709125. Abstract: To investigate an accurate and reliable numerical calculation method to solve the non-matching mesh problem in fluid-structure coupling, this paper presents a 3D common-refinement method for non-matching meshes between discrete non-overlapping sub-domains of incompressible fluid and nonlinear elastic structure.The incompressible fluid flow was discretized by using a stabilized Petrov-Galerkin finite element method (FEM), and the large deformation structural formulation was discretized by using a continuous Galerkin FEM.An arbitrary Lagrangian-Eulerian formulation was used to process large deformation of fluid-structure mesh, and the fully decoupled implicit partition procedure was applied to solutions of the fluid and solid phases.To satisfy traction equilibrium condition along the fluid-elastic interface with non-matching meshes, this study investigates the accuracy and reliability of the spatial interpolation in the common refinement method (CRM).According to a series of mesh division schemes, this study systematically assessed the accuracy and precision of CRM by varying grid mismatch between the fluid and solid meshes, thereby demonstrating the second-order accuracy of CRM data transmission through uniform refinements of fluid and solid meshes along the interface.This method was further applied to a 3D benchmark problem of cylinder-elastic plate and compared with the standard solution in the literature.Results show that this method is accurate and reliable in solving the fluid-structure coupling problem.